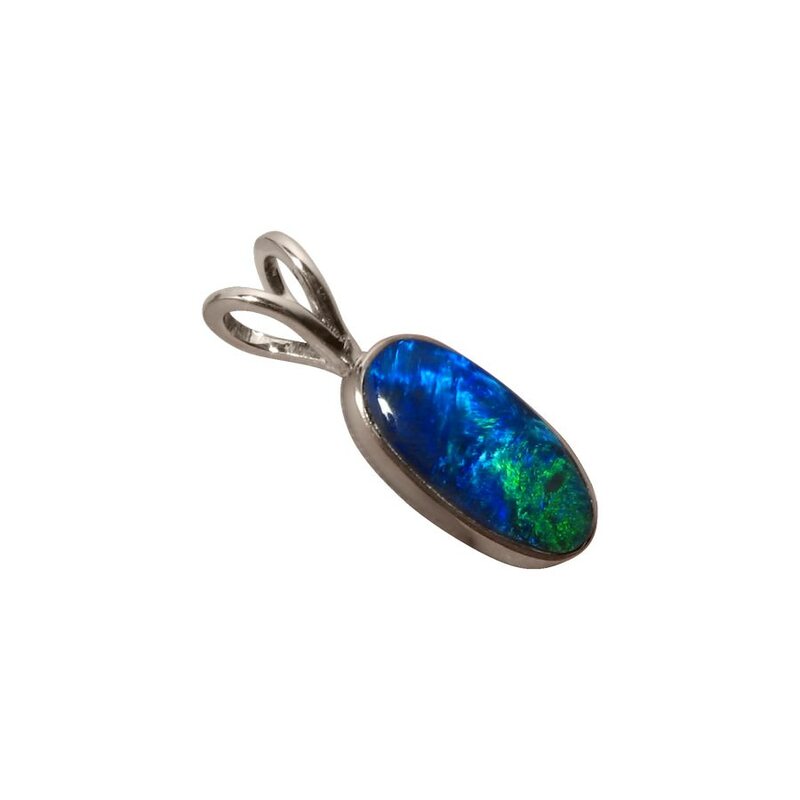 A Blue Opal pendant in 14k White Gold with one very bright inlaid Opal which stands out against the 14k White Gold. In stock and ready to ship. 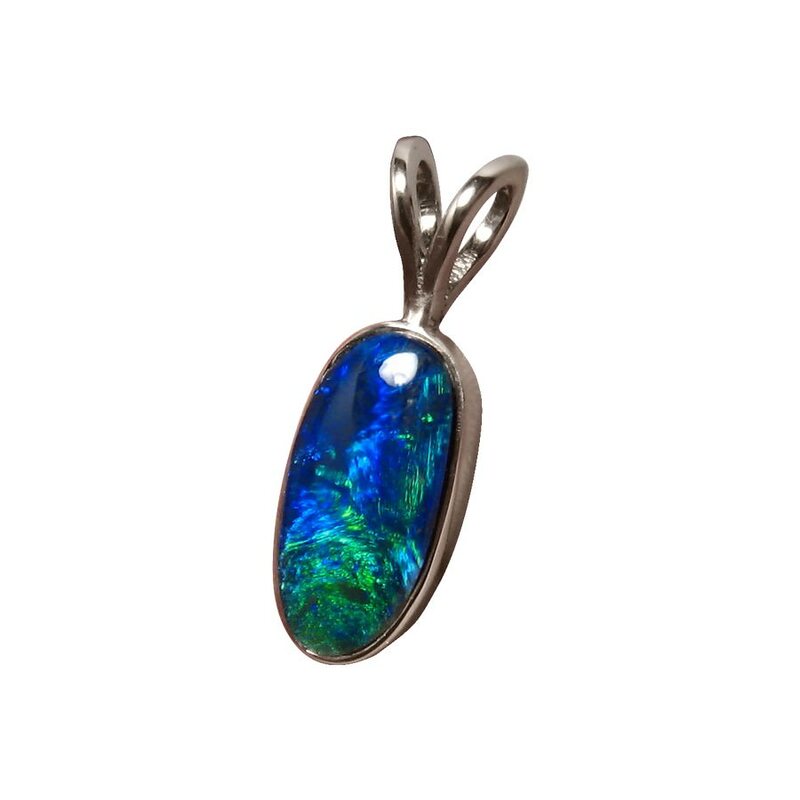 A solitaire Opal pendant with rich color that will be noticed when worn. 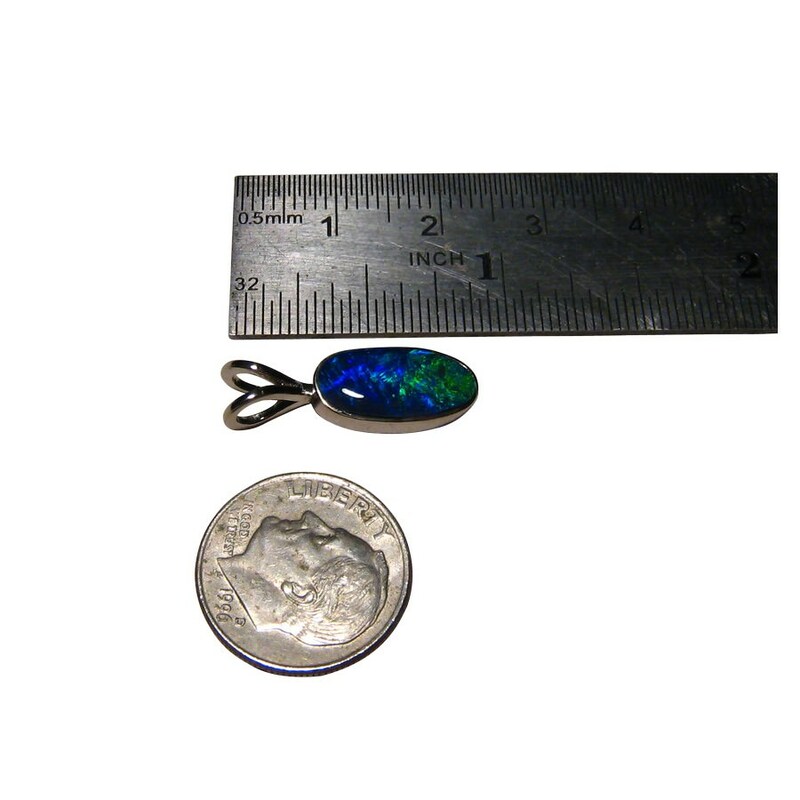 The 14k White Gold pendant measures over ¾ of an inch and is inlaid with a Lightning Ridge Opal that weighs 2.5 carats. 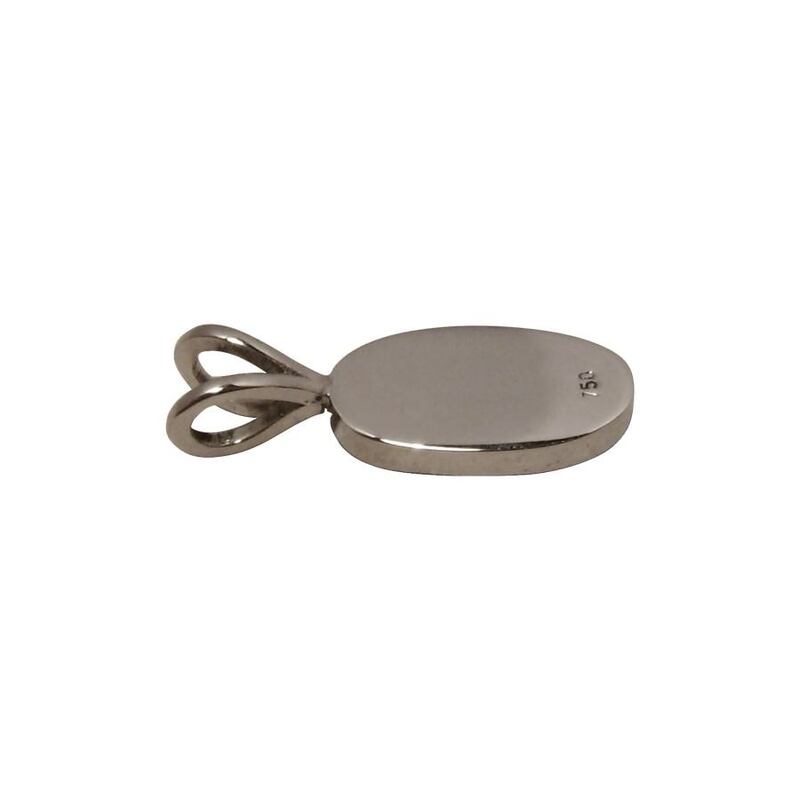 A simple designed pendant that can be worn at any time of the day or night and would make a beautiful gift for any occasion. Please note the chain is not included. Perfect! Thanks so much outstanding!